The spirits tell us that one could summarize the Doctrine of Spiritism as the Golden Rule. If you always follow the dictum, “Do unto others as you would have them do unto you”, you have achieved the lion’s share of what the spirit realm, and Jesus himself, have been trying to teach us for the last two or three thousand years. The problem is the majority of people ask themselves, why should I follow the Golden Rule? It may make my conscience feel serene, for a moment or two, but it sure as heck doesn’t put food on the table. Ignoring it put lots of food on the proverbial table and other luxuries as well. Everyone knows the fastest way to get rich is to take money from other people. Honest methods tend to be slow and sure, but nothing beats a dishonest or unscrupulous method for speeding up the process to drain capital from the hapless suckers into your own bucket. Sure, a pang of guilt may strike every now and then, but living the life of luxury more than makes up for the temporary discomfort. The Law of Affinity is the answer. It provides the entire backstory, the complete process that controls your life on earth and in the spirit world. It remembers every deed, every slight, and every deceitful and insincere act that you have either thought of or committed. By your unique identifier; your baggage is tagged with your name on it. And the only way to relieve yourself of the paper trail of fines that are following you is to pay them. 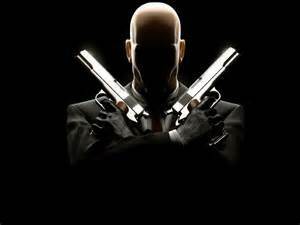 The Law of Affinity is the enforcer. It tracks and categorizes your past actions and deposits you exactly where you belong. Oh the injustice! I am not sure about you, but I hate it when anyone says you get what you deserve. I always think that the other person should get theirs first and leave me alone long enough for my paperwork to get lost. This Divine Law, this immutable law, associates us with others similar to us. 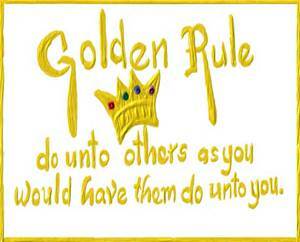 In other words, to reverse paraphrase the Golden Rule, we are done to what we have done to others. Hence, if we were criminals, we are put on earth with some of our accomplices, so we may collectively figure out the wisdom of accumulating enemies. If we were basically decent stock, we will be allowed to be raised and supported by others like us, thus helping us on our way to spiritual enlightenment. There are many variations, a reprobate may be allotted to a good family, to give her or him a decent start in life, then will be presented with a harrowing set of trials to determine if she or he will make honorable free-will decisions. Or a decent fellow may be selected as the only son of a couple who robbed him of his rightful inheritance in a past life, so he may reclaim it when his parents die in a tragic accident. The bottom line, is that everything we did all comes back to us. One may ask, if this is so how could we improve? Wouldn’t it be tougher in such difficult circumstances? Could a poor soul, who has much to learn, in the spirit world amongst ill-intentioned spirits or on earth in a mafia-like family, actually rise above the muck and modify his or her behavior? The answer is yes, it is possible, it is challenging but it can be done. It is conceivable to improve in the worst of conditions because of the gift from God that we all have embedded within us. The gift of a conscience. Implanted in our spirit and in our physical brain is the entire set of Divine Laws and a detector when we violate one. When we start out as primitive beings, we gleefully ignore the warning bells and whistles. Gradually we notice that it is better to heed the signals we give ourselves than to ignore them. As we accumulate experiences over thousands, if not tens of thousands of years, we build up a library of interpretations, so we may fully understand the nuances in every situation and select the truest course of action. At some point, for all of us have started from a deep hole we have dug ourselves by our intransigence; we grasp the concept that by following our inner detector a better life is possible. From that humble beginning we commence the climb upward and outward. Understand where we are taken after we pass on from our physical life and what are the places on the spirit world where we have been and are going to by reading my book, Explore Your Destiny – Since Your Life’s Path is (mostly) Predetermined.